It’s important to note that features of Sargent planes often carry over from type to type. Sargent used up inventory as they came to it, so it’s common to see parts from previous years on more modern planes. Although we see this in most tool manufactures, we see this more in Sargent planes than we generally do in others. It also seems like there is also more variations and more building one plane at a time type work than we see in other manufactures as well. Instances of this would be a type 4 base may have the name raised in a square AND the size of the plane behind the frog, or the size may be missing, OR the base may be void of any casting marks at all. Also a plane with a type 4 base and all other (or at least a majority of) type 3 parts (more often seen in planes Sargent made for house brands) would be considered an early type 4 where a very late type 3 would be a type 3 base with all (or at least a majority of) other type 4 parts. If you are trying to date the plane this narrows it down to a short period before or after the transition. Don’t let the existence of multiple “type” parts make you feel you have an undervalued plane. As time passes, we may find more sub types that can be added to the study. **Iron logo oval with USA in the center. Sargent and Co. Top and New Haven Ct bottom. **Frog seat with O shaped bolt receivers are gone and are now being transitioned to “square shaped” frog bolt receivers. Type 4 Sub Types Introduced. 4a ——- These typically have plain lever caps. The castings are/were being geared up to be the VBM. It is unknown whether the Type 4 bases started before or after 1910. 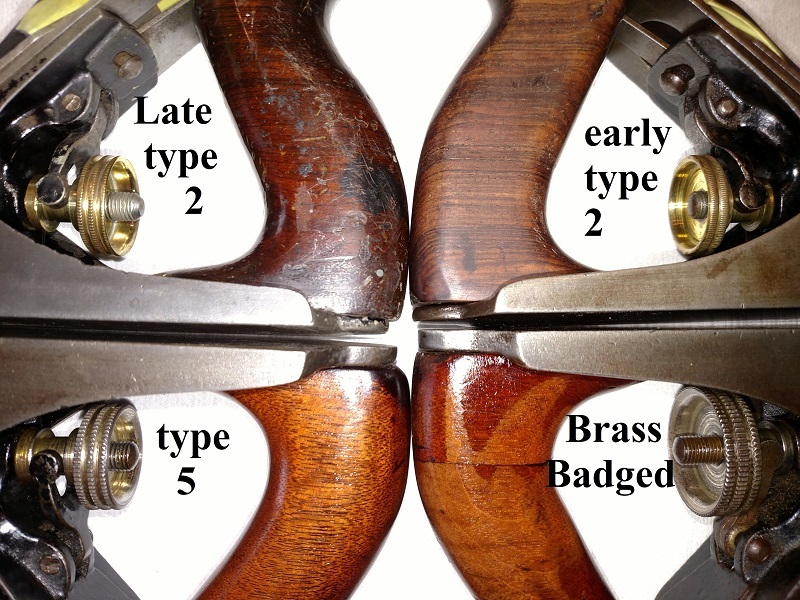 The 4a Type may be before 1910 or it may be Sargent just using up parts after the VBM designation was started. ** A very few type 5 have left handed cutter adjuster. 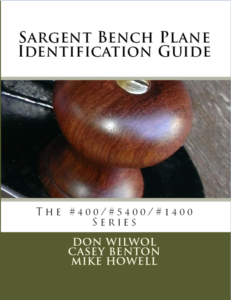 1927-1949 – #1408, #1409, and #1414.